Check out the latest trailer for Tekken 7 from Comic-Con. If you thought the teaser trailer was over the top, then this is just an extension of that. 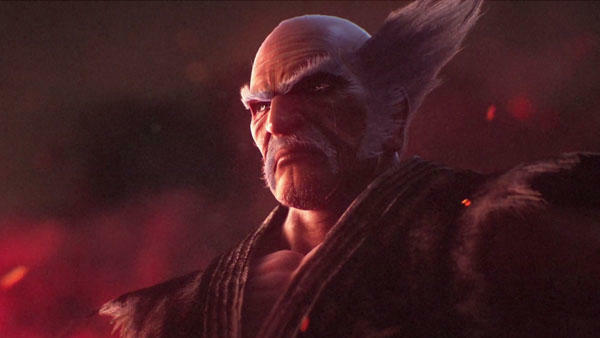 Kazuya Mishima and his father Heihachi's bitter family rivalry continues to heat up to the max as they find the only place that can handle the tension between them, an actively erupting volcano. Doesn't really seem like the most effective place for a fight, does it, but why do something if you can't make it flashy? All the while, Kazuya's mother, Kazumi, finally makes a long-overdue appearance in the Tekken series, narrating a scene many years before this climactic confrontation and promising to shed more light on why this crime family's members all hate each other. Her narration points out that she passed on a mysterious power to her son, one that his wayward father would want to exploit. Despite loving her husband, she opted to assassinate him instead. Her failure led to Kazuya being raised to take care of the job, and Tekken 7 is where it all finally happens. That's what I can piece together, but fighting game canon from any series, let alone as stupidly complex as Tekken, has never made sense to me. Thankfully, Wikipedia makes it easier these days. Still no gameplay footage yet, but this trailer is just so cool that I might have to give the Tekken series a spin for the first time in nearly a decade. I have a lot to catch up on, it seems. Tekken 7 will be released for the PlayStation 4 and Xbox One, and naturally, it will make a run on the arcade scene as well.